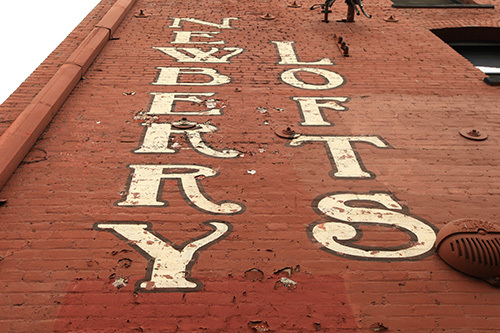 The loft building at 900 E. 1st Street was originally called the J. R. Newberry Company Building. Located on the south side of 1st Street at the intersection of Vignes Street in the former warehouse district of Los Angeles. It served as the primary warehouse for J. R. Newberry Company, a Los Angeles grocery store chain, and it housed a candy store, blacksmith shop, and restaurant. 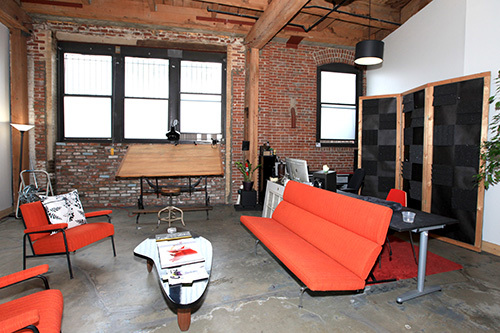 In the 1980's the building was converted to loft rental housing in what is now designated "The Arts District." J. R. Newberry was the pioneering founder of one of the first Los Angeles grocery chains. He is also important as one of the organizers of the Merchants and Manufacturers Association and one of the first directors of the Chamber of Commerce, as well as one in the group of local business leaders instrumental in bringing in the Santa Fe Railroad in the state. The Office of Historic Preservation has concluded that the building is eligible under Criterion C as a representative example of industrial warehouses at the turn of the century. By this time, the Flats, as the lowlands along the Los Angeles River were called, developed into the warehouse district. The J. R. Newberry Company was one of four early buildings in the district, predating construction of the 1st Street Viaduct. Character-defining features of the warehouse include its location and close proximity to the Atchison Topeka & Santa Fe Railroad rail yards, the simple plan, relatively plain wall surface, and random placement of the fenestration, and the use of brick as a construction material. Dogs and Cats Accepted. Please Call for Details.